Single Nozzle. This system includes everything needed to install a wet single nozzle system capable of flowing 175 HP of nitrous. 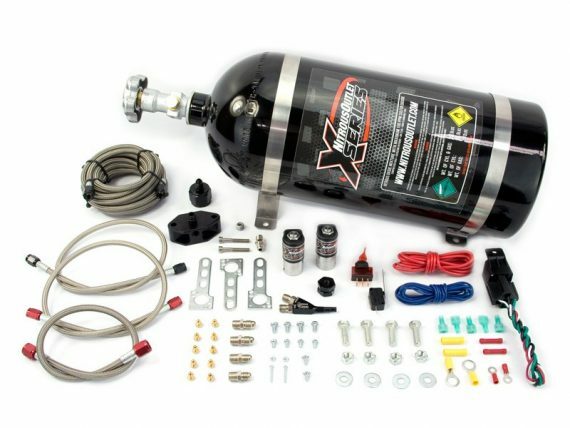 10lb nitrous bottle, solenoids, hoses, wiring, hardware and jetting for up to 200HP included.